CARLSBAD, California - After grounding all flights to repair their aging fleet of planes amid a so-called pilot shortage, California Pacific Airlines is now facing a lawsuit from a former mechanic. He brought his concerns forward despite feeling “immense pressure to remain quiet,” according to the lawsuit. He claims his warning was ignored and the plane remained in operation. Two days later, he says he was fired after having received an angry text from one of his superiors. 10News reached out to CPA’s founder, Ted Vallas, but has not received a response. Meantime, an employee who did not want to be named told 10News that he has been furloughed indefinitely. He said he was supposed to get paid on January 15th, but has not received his check yet. 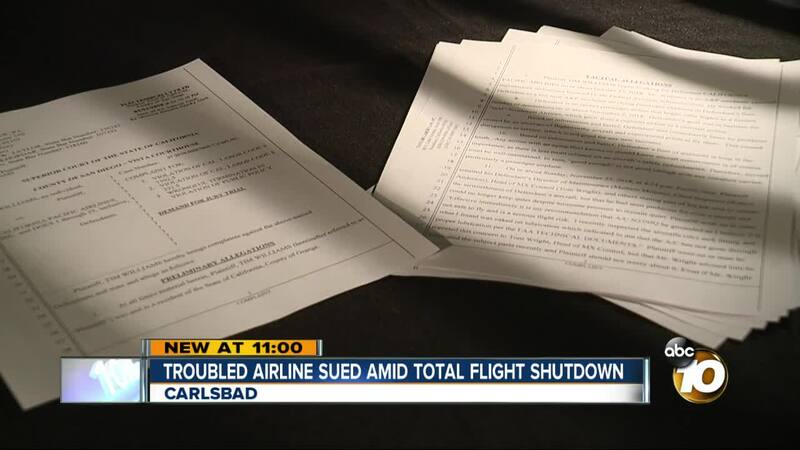 In an interview with 10News in early January, Vallas said they were hoping to resume flights in February. But their booking website remains closed and the employee says they have received no word from managers if, or when, they would ever be coming back to work. The/A mechanic had/has the right to declare the aircraft un-airworthy independent of any owner/management decisions. The mechanic's decision is not advice, it is a binding operational decision. The mechanic also has a cell phone with photo capability to demonstrate visual proof of unacceptable wear and tear and manufacturer's documents that define that criteria. We heard one side of the story, where's the other? Jim, turn out the lights, the party's over. These folks are done! California Pacific Airlines was an American regional airline that was headquartered on the grounds of McClellan-Palomar Airport in Carlsbad, California. On December 28, 2018, CP Air announced they were suspending operations in California. In January 2019 the airline ceased all operations.